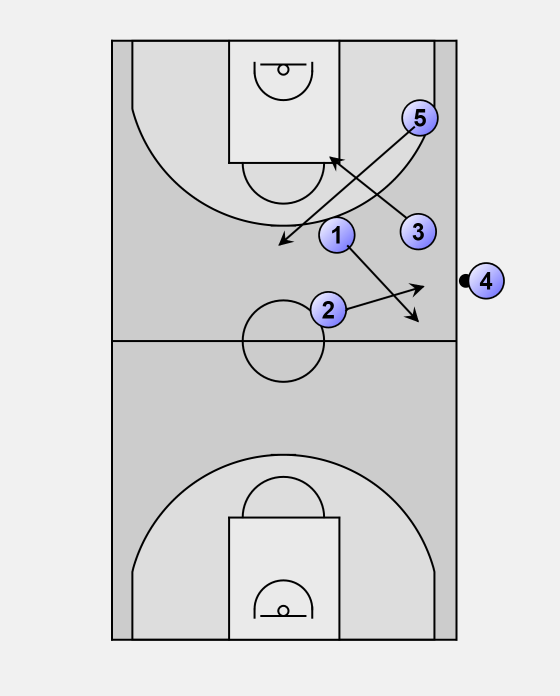 1) Sets up towards the offense basket, then flashes towards the sideline and half court line. 2) Sets up even with 1 closer to defensive side, then flashes towards the sideline. 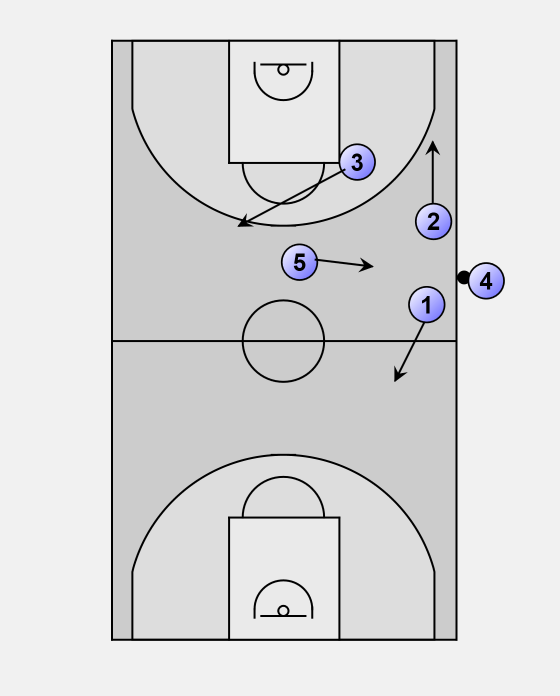 3) Sets up between the sideline and player 1, then breaks toward the foul line. 5) Sets up even with 3 but closer to the baseline, then cuts toward the top of the key. 1) Goes to the back court. 2) Goes down the sideline. 3) Goes towards the top of the key. 5) Goes towards player 4.